Global catastrophe risk modeller, Karen Clark & Company (KCC), has announced the launch of a new modelling platform that gives insurers and reinsurers the ability to track claims and losses in real-time from live hurricanes, called RiskInsight-lite. The new modelling platform also enables insurance and reinsurance companies to estimate their exceedence probability (EP) curves, which includes both PMLs and AALs at location-level resolution, explains KCC. Interestingly, the catastrophe risk modeller says that the capabilities of RiskInsight-lite can be used by insurers and reinsurers immediately and in time for hurricane Irma, which has now strengthened to a Category 5 storm and could still make landfall along the U.S. coastline as a major hurricane, this weekend. Chief Executive Officer (CEO) of KCC, Karen Clark, commented; “RiskInsight is an advanced open loss modeling platform that our clients use to build their own scientific models and to customize the Reference Model components such as the damage functions to accurately reflect their actual claims experience. After the devastating impact of hurricane Harvey on parts of Texas and Louisiana, the world is keeping a close eye on hurricane Irma as it continues to threaten parts of the Caribbean and possibly the U.S. in the coming days. KCC recently provided its insured loss estimates for the impact of Harvey, and explained how users of KCC’s RiskInsight were able to estimate their own claims and losses from live hurricanes, such as Harvey, starting days before landfall. 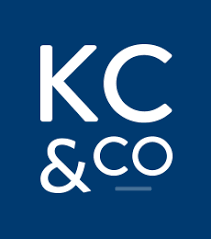 Christopher Mossey, KCC Vice President of Client Development, said; “KCC clients have been pleased and impressed with RiskInsight’s ability to provide accurate real time estimates of how many claims they’re likely to experience and average claim severity by location.